So yeah, this site for the most part is a Chicago Centric comedy blog, but we also cover news and entertainment events from New York, Hollywood and all over the world and the last month of 2014 has been a real doozy of a news cycle. From Americas Got Talent Auditions to a Chris Rock & Dave Chappelle tour rumor to The 11 Best Stand-Up Specials of 2014. We put together a nice fat list of comedy and entertainment news links that should be on your radar. Chicago leg of the Americas Got Talent auditions. First off we want to plug the AGT auditions (January 24 & 25th). The NBC network's number one talent show has started it's search for next summers contestants. Word is they are specifically looking for some talented comedians to participate (contacted us on this directly) so don’t miss this opportunity to showcase your comedy skills. Now some hipster types might be rolling their eyes, but they shouldn't. Chicago's own Jacob Williams got on AGT as a semifinalist and parlayed that into a recurring role on MTV's Wild N Out with Nick Cannon - not too shabby. Even if your not a comedian AGT is open to any age and any talent so dust off those roller skates, juggling pins and batons. Bill Cosby next to Taylor Swift on South Park’s holiday special. Damn. This whole Cosby thing is just... What a shame. What I wanna know is when will folks start calling calling out Woody Allen? Balling For A Cause - Another local event you should definitely check out. 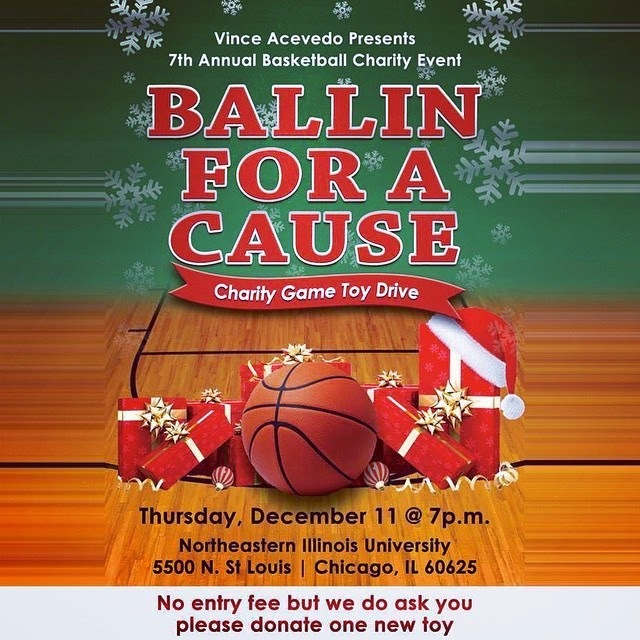 Chicago comedian Vince Acevedo has his heart in the right place - His 7th Annual local celebrity basketball Charity happens tonight at Northeastern Illinois University PE Complex. It's a toy drive to benefit underprivileged kids in numerous communities across the city of Chicago. Seating starts at 6pm and the game starts at 7pm. Designated parking is in Lot "L" near the Foster side of the school. Come out and support your favorite local comics on the basketball court. Chris Rock & Dave Chappelle tour talk returns! 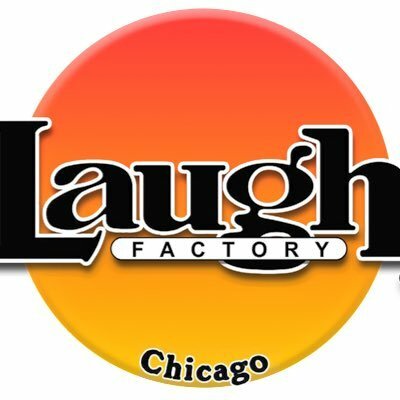 Former WWE star jumps in the Chicago Stand-up ring. As a big Colbert fan... gonna kind of miss him when he moves to CBS. Wow. End of an era... Didn't get too sentimental when Leno stepped down, but this guy... yeah gonna miss you Dave. Colbert should rock it though. Heh... Everybody hates on John Mayer. Broad City Live does Chicago! 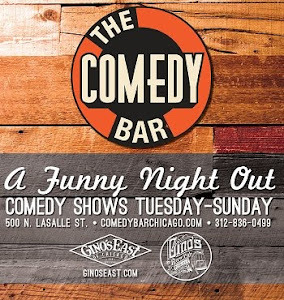 Chicago Tribune reviews the Chicago Comedy scene..